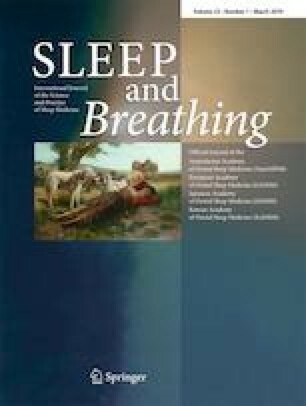 Obstructive sleep apnea syndrome (OSAS) is a common form of sleep-related respiratory disease characterized by recurrent blockages in the upper airway. Rapid eye movement (REM)-related OSAS is a condition in which apneas and hypopneas are more common during REM sleep. We investigated whether there was any difference between REM-related mild OSAS group and NREM-related mild OSAS group in terms of anxiety, depression, and daytime sleepiness. A total of 166 patients with mild OSAS (72 patients with REM-related and 94 NREM-related OSAS) participated in the study. Hospital Anxiety-Depression Scale (HADS) and Epworth Sleepiness Scale (ESS) questionnaires were completed by both groups. Anxiety and depression scores were significantly higher in patients with REM-related OSAS in comparison to the NREM-related OSAS group (p = 0.01, p = 0.02 respectively). There was no statistically significant difference between the two groups in terms of ESS scores (p = 0.60). The results of our study suggest that patients with REM-related OSAS have higher rates of depression and anxiety compared to non-REM-related OSAS patients and this may adversely affect quality of life. It may be possible to prevent psychiatric complications, such as depression and anxiety, by administering treatments that reduce REM sleep duration and intensity in patients with REM-related OSAS. This article does not contain any studies with animals performed by any of the authors. All procedures performed in studies involving human participants were in accordance with the ethical standards of the institutional and/or national research committee and with the 1964 Helsinki declaration and its later amendments or comparable ethical standards. The institutional review board (IRB) approved the research methodology.